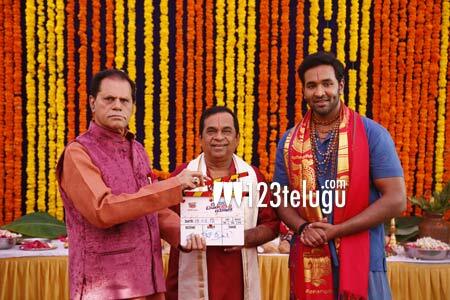 Vishnu Manchu has teamed up with his lucky mascot, director G Nageshwar Reddy, once again for a hilarious comedy entertainer titled Achari America Yatra. The film was launched this morning in Tirupati, coinciding Mohan Babu’s birthday. Veteran director K Raghavendra Rao directed the first shot, with noted politician and industrialist T Subbiramireddy giving the honorary clap and Raghu Rama Krishnam Raju switching on the camera. Amyra Dastur is said to be in talks to play the female lead’s role. Achari America Yatra also stars Comedy King Brahmanandam in a pivotal role. A majority​ of the film’s shooting will take place in America. The film’s story is penned by Malladi Venkata Krishnamurthy. Keerthi Chowdary and Kittu will be producing the movie and senior producer ML Kumar Chowdary will be presenting it.